This component is a basic implementation for json messages formatters, and It manages dynamically parameters types, resolving no concrete types (whenever It's possible), and for advanced resolution of those types, It's possible to apply a custom resolver into *.config. file. A basic library implementation for persistent classes. A .NET solution to read/create/modify Excel files (ex. 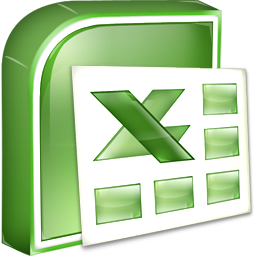 xls, xlsx formats) without using COM interop, and It provides a set of interfaces that you can use them for mapping worksheets into object classes. PersistentLayer.NHibernate is an easy component which implements contracts defined by the PersistentLayer component, using NHibernate as ORM for making CRUD operations on databases..
Validations is a simple framework which contains a set of components responsable for validating any kind of objects through a set of rules named "Operations". A Nhibernate extension for custom transformers and advanced criteria filters using QBE (query by example). WcfExtensions is a basic library which serves for configuring custom behaviors for wcf services, and finally this is possible by using a default class which derives from BehaviorExtensionElement, allowing to avoid a local implementation of BehaviorExtensionElement on wcf service project. This component extends the DynamicObject, in order to add / remove new members at runtime. This component is able to execute dynamic code, compiling code at runtime, and evaluating it in order to retreive the value computed defined into file / string containg dynamic code. This component can be used whenever you need to customize CRUD operations, so you need to implement your custom "Actions" to inject on this component, and finally this actions will be executed by BusinessDataSource object.